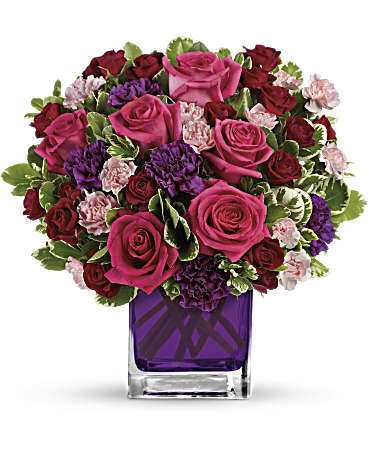 Delivered in Teleflora''s glass violet cube. All prices in U.S. Dollars. Orientation: One-Sided.